Is there such a thing as too much school spirit? A lot of people seem to think so. So far this year we’ve had three different spirit weeks and pep rallies, which I don’t really see the point of. Though it’s nice to represent all fall, winter, and spring sports, why must we be bothered to participate in all three spirit weeks. Why not do one big event at the end of the year to celebrate all sports and student athletes? It’s not like the students participating in the pep rally events represent the entirety of the grade they’re in. It’s always the kid that everybody knows, and never an average student. I also don’t see why we need to spend the last six minutes of our eighth periods watching our announcements on Mondays, Wednesdays, and Fridays. I’m not alone in thinking these are a cringy way of getting students to tune out possibly important announcements. What was wrong with listening to them over the loud speakers? 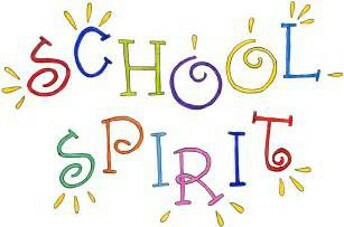 Yes, it’s good to have school spirit, but the way we have it seems kind of childish. This is the first time in the three years that I’ve been here that I’ve been bothered by the amount of school spirit events. Regardless, I don’t think that less school spirit here would be a bad thing.